Living Area: 1696 sq. ft.
One Look And That's All It Will Take! This End Unit Fronts A Wonderful Greenbelt Filled With Trees. 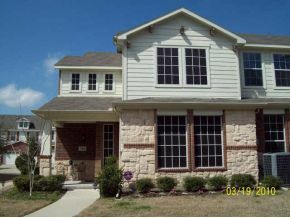 Wood-Stain Blinds Throughout, Neutral Interior Paint Colors Make This Home Move In Ready! Game Room, Ceramic Tile Floors In All Wet Areas. Huge Walk-In Closets, Linen Closets, Ceiling Fans, Oversized Garage, Zoned AC, Covered Porch, And Much More!